Tibetan hot spring famous for its function of cure. 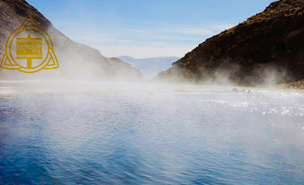 Mangpu Hot Spring in Lhatse is one of the most famous one in Tibet. Here, travelers can enjoy the hos spring water with medical treatment after a long journey in Tibet. For local people, this hot spring is also called ‘cure hundreds diseases hot spring’.Lhatse is a small modern town that located in the Valley of Yarlung Zangbo River. Travelers usually choose this town as a lunch stop on the way from Lhasa to EBC or Kathmandu. If you have enough time, you can choose to stay here and enjoy the Mangpu Hot Spring with your friends. The spring water seeps from swallet of hillside. Local Tibetan people said that the limpidity of water often changes. Sometimes you can clearly see the bottom of pool, but at other times the water turns to milky white. The temperature of Mangpu Hot Spring consistently stay the same from winter to summer, at around 50 degree. 1. Do not soak when you are hungry or just have meals. 2. Do not soak for a long time. 3. Do not doing active exercises when bathing, remember you are in highland.